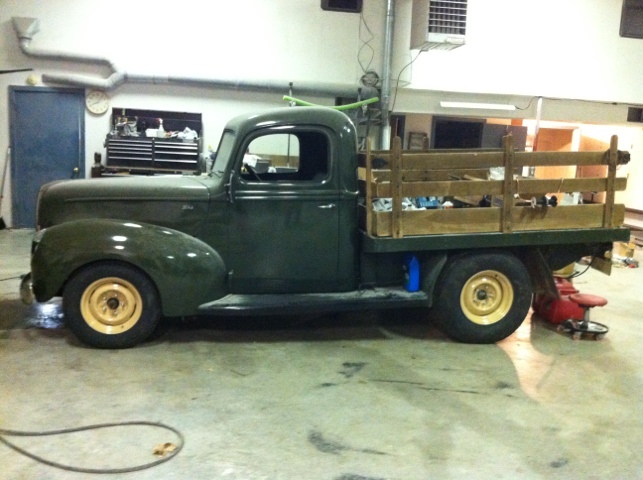 Not only the season, but the new Posies Super Slide reversed eye front spring for the ’40 Stake Truck arrived this afternoon. 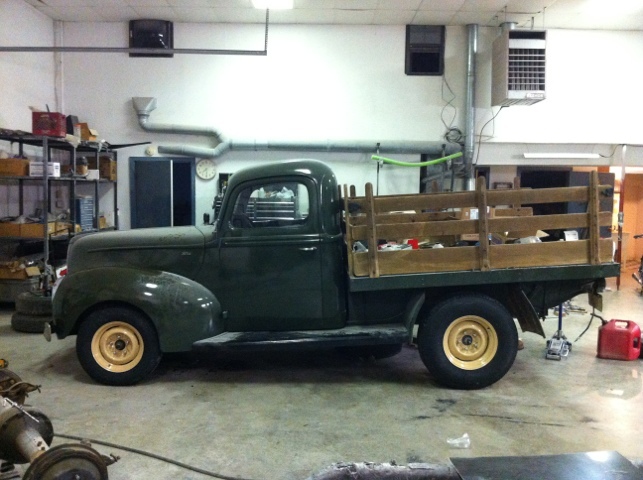 Shot a quick coat of rattle can on it and drove down to the shop to install it! Dropped the front end down to where I was aiming for, so I am very happy with it. I do need to remove the stock bump stops, however, as it’s just about resting on them now. Ah…the joys of a reversed eye and lower arched spring! 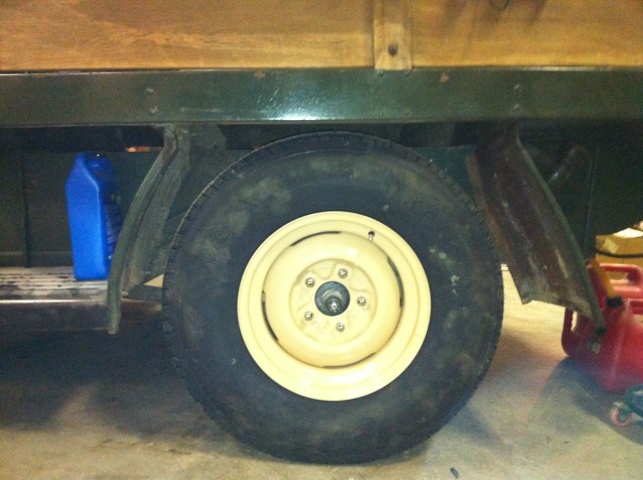 With the new spring, before it settles and I remove the bump stops, the top of the tire is just below the radius of the front fender. 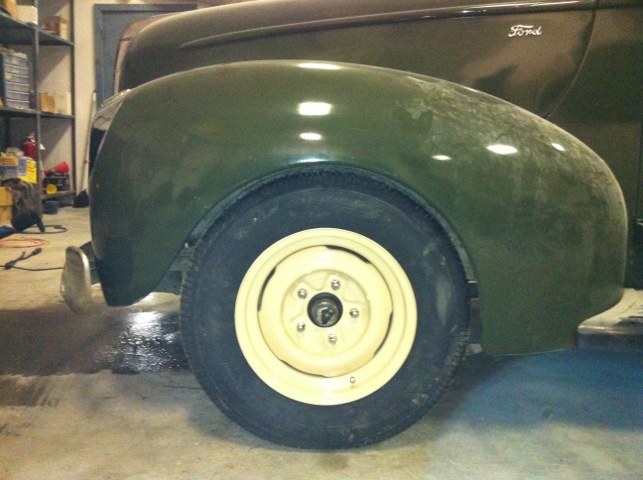 Here’s the back tire, with it’s new location, due to swapping the stock ’40 truck spring with a stock ’40 coupe spring.